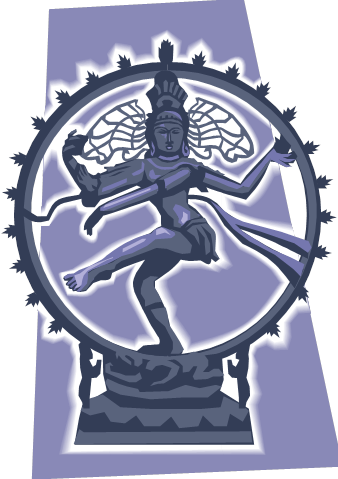 Shiva’s dance (“Shiva Nata”) is in rhythm with creation and destruction. It is the cosmic dance, the interplay of the unmanifest with the manifest, and the spark that ignites Becoming into Being. It is the unity of the simultaneous unfolding and enfolding of the universe. The Spiral Dance is a moving meditation based on the mathematical movement of the hands and feet. To some, resembles Tai Chi or the fluid movements of martial arts kata. It combines mathematical sequences of movements into patterns of movement. Here is a great article on Shiva’s dance in history, religion, and science. Spiral Dance coordinates the mind with the body, the thinking center with physical activity, neurological activity with its expression. The mind becomes sharper; actions become clearer and more purposeful in all areas of activity; it is both the mechanics of the movements, as well as the effects—which include higher functioning in mind and body. “Dancing improves brain function on a variety of levels” says a recent article in Psychology Today. But the Spiral Dance is not just any dancing. It is the dance of Shiva, who is known as the creator and destroyer. With the Spiral Dance, patterns are created then changed (destroyed). The mind and body learn to adapt to changes with each movement. Then the pattern changes, requiring a re-learning. And on and on. The benefit of this adaptation, is that it extends into all areas of life. Anywhere there is a pattern (and patterns are everywhere! ), the brain becomes alert to noticing, and adept at adapting. Life becomes easily more fluid as the brain adjusts every moment without a thought! Learning the Spiral Dance of Shiva is like moving meditation. It exercises the mind and body bringing greater balance, clarity, and harmony to living. Spiral Dance is as much what it effects as what it is. Since life is a never-ending process, the effects of it are never-ending; there is no goal, no perfection, only movement, process, change. If you enjoy participating in the ever-changing flow of life, this practice will enhance your experience. 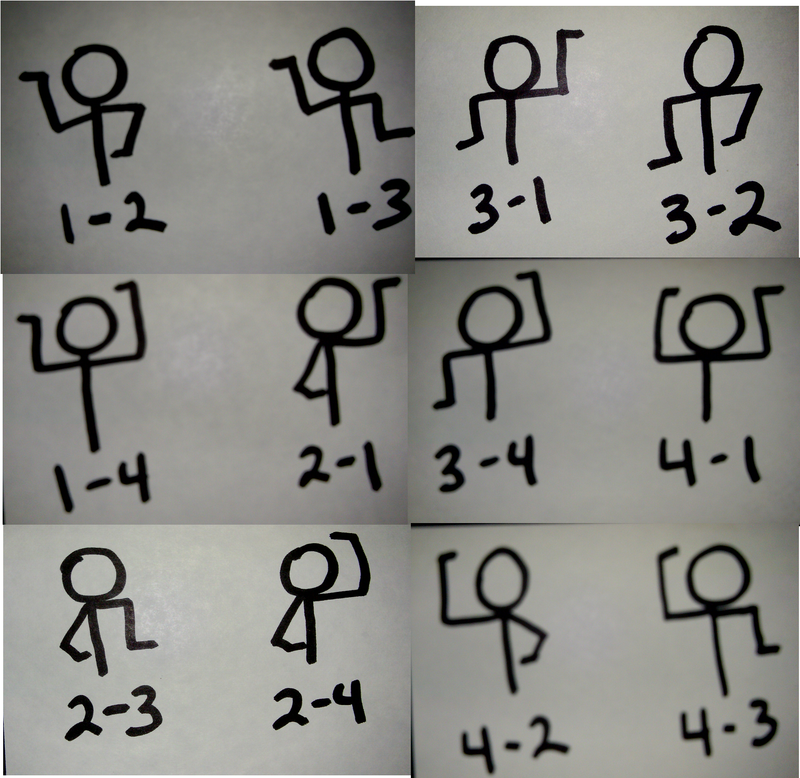 Start by going “down” the center diagonal: move your arms from position 1-1 to position 2-2 to position 3-3 to position 4-4 (these are shown in the pictures above), and come back to the starting position 1-1. Now do it in reverse! 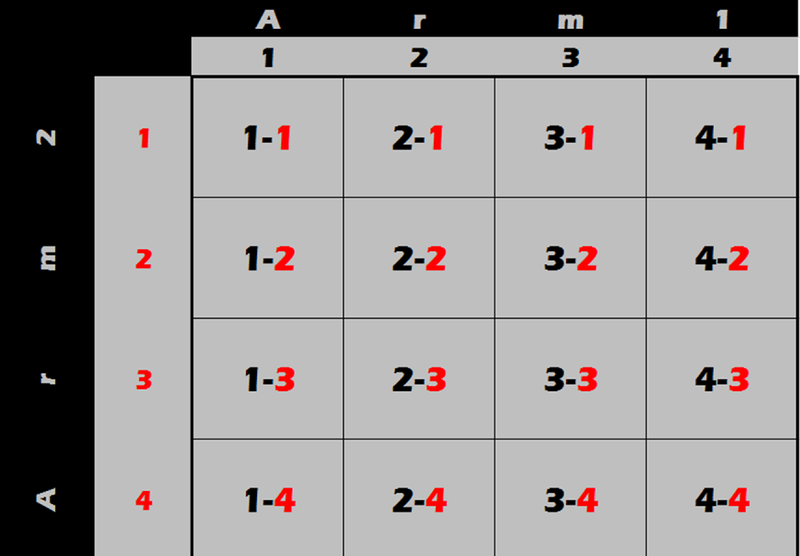 Try other combinations—go down the columns, and back up; go across the rows, then reverse! Want more? Talk to me!